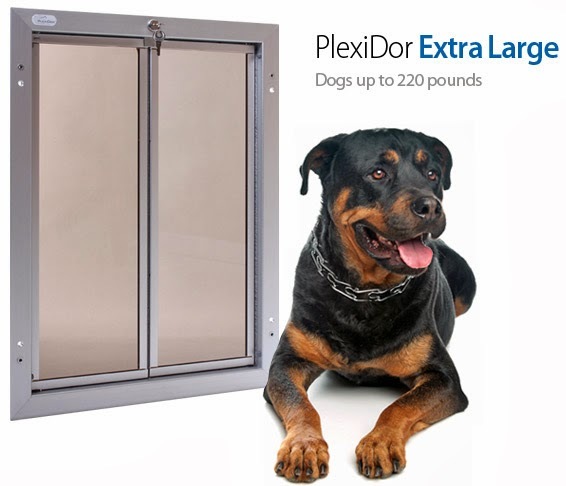 Plexidor Pet Doors: Will a pet door make my home less secure? The honest answer is, "maybe" - it depends on what pet door it is, and the size, of course. Different manufacturers have different solutions, and being able to lock might or might not be an issue. 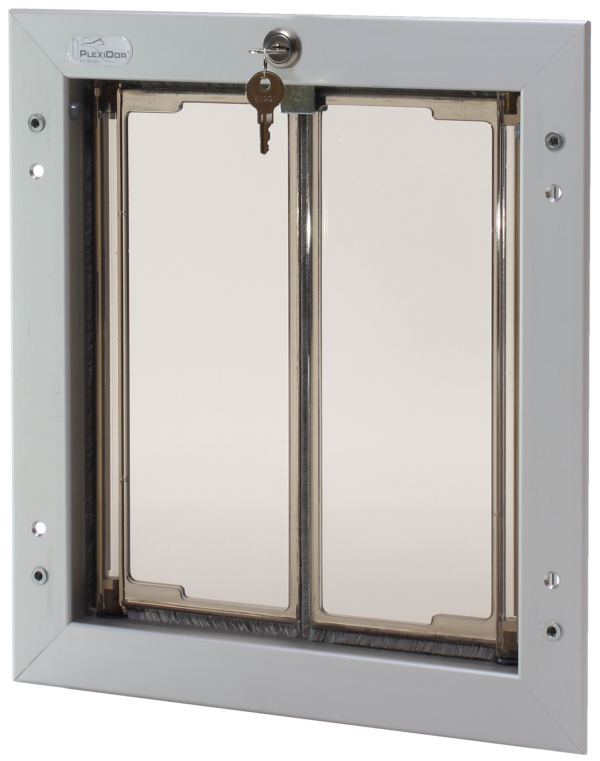 The PlexiDor pet door comes with lock and key as well as a steel security plate to make it virtually impossible for intruders to enter through the pet door. The lock features a steel cam inside a hardened metal cylinder. Turn the key to lock or unlock, and keep unwanted guests outside. When looking at photos, it's easy to get the PlexiDor backwards. When I first saw it, I thought, "Isn't that mighty unpractical - I have to go out and around the house to lock...?" Every PlexiDor (except size small) is delivered with a steel security plate. This is easily installed when leaving the house for a longer period of time, when wanting to signal to the pets that the door is locked, or whenever extra security is desired. The small door doesn't come with a security plate because it's too small for anyone to get through. If the security plate is used every day, there is a convenient PlexiDor sliding track system available. Slide the security plate down the track into place, and lock it with a handy flip lock feature. This is something that concerned me. We have a doggy door and it is how our burglars got into our home back in 2011. Our alarm system made it possible for the police to catch them and for us to get our stuff back. I don't think so. 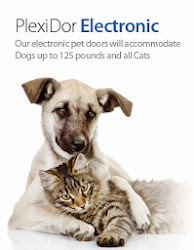 I don't think that a pet door will affect the security factor of the home. But yes, it is important to buy a perfect and reliable pet door for the pest because less secure pet doors may affect the pets in negative way. It is so informative blog Thanks for share. your blog have a lot of information. 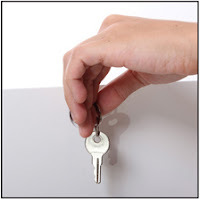 Locksmiths can also access patented security key-systems, where a purpose-built security system can be installed allowing for a whole range of scenarios including access permissions, date/time access control, key expiry and more. Whether it be an old fashioned master-key system or wireless electronic system,members can access exclusive profiles ensuring a securely maintained system.